Book review: The Outsider Test for Faith: How to Know Which Religion Is True. John W. Loftus. Amherst, NY: Prometheus Books (2013). John Loftus is an insightful critic of religion—especially the Christianity he formerly professed as a seminary student and pastor—and an excellent writer of his atheist views. (With his public and private encouragement of my own co-authored work, including a very nice blurb, he has also proven himself a gracious friend as well.) The book I consider John’s masterpiece, Why I Became an Atheist, had a profound impact on me. The fear can run deep, though, if you’ve been indoctrinated into the double standard of accepting with “childlike faith” a bunch of crazy propositions that would never stand up to scrutiny outside a fragile doctrinal bubble, as I was. It is breathtaking but a little unnerving to finally let your mind roam free. Even to many followers of this sort of blinkered faith, these words must have a suspicious odor to them. The most important matter of one’s life is—with no justification whatsoever—simply off-limits to “rationalization.” Anything goes: The preachers can make whatever claims they wish. And why is it “that most believers cannot think rationally in assessing their culturally inherited faith” (p. 172)? 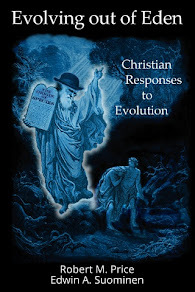 Not because of some divine protection for the faithful against a spiritual bogeyman like “the prince of darkness,” but our evolutionary origins. Believers and heathen alike, we are all the genetic legacy of pre-human ancestors who had survival rather than salvation as their primary concern. The resulting “human mind is a belief engine,” whose owners were prone to suspect some unseen agency behind every rustling noise in the brush and “are not really rational about religious faith” (p. 15). Those of us outside the doctrinal bubble, from whose dangerous company the preachers would have the faithful “keep away,” can readily recognize these as tools of the trade in religious fundamentalism. As I’ve written about in an earlier post, though, even we religious skeptics have our own blind spots in many other aspects of life, which the limitations of our evolved brains keep us from fully recognizing. What John lists are not necessarily deliberate tactics exercised by clerical power brokers, at least not in most cases of my old church. They are, rather, coping strategies for people who will never leave their childhood faith, no matter what, because the “more that a person has commitment to an idea, the more it’s virtually impossible for him or her to take a different path” (p. 66). At least considering the possibility of taking a different path is what John wants believers to do with his “Outsider Test for Faith” challenge. This book is all about that test, thus adopting that as its title. It’s subtitled How to Know Which Religion is True, to which you might as well add Or None at All, because no religion gets a free pass with the Outsider Test. Not even your religion, the One True Faith that was ingrained into your innocent little mind drawing pictures of Jesus with purple crayons in the earliest grades of Sunday School, whose oversimplified cartoon capsules of doctrines and cherry-picked, familiar Bible passages you now hear repeated in sermon after sermon, week after week. And that’s the whole point. John challenges believers to look at their own “culturally adopted religious faith” as the rest of us do: “from the perspective of an outsider, a nonbeliever, with the same level of reasonable skepticism believers already use when examining the other religious faiths they reject” (pp. 16-17). He makes a brilliant parallel to Jesus’ own words in The Golden Rule: The Outsider Test “simply asks believers to do unto their own faith what they already do unto other faiths*” (p. 169, emphasis added). You don’t lie awake nights worrying about the hell to which various branches of Laestadianism, the local Church of Christ, Iglesia ni Cristo, or many other finger-wagging exclusivists are condemning you? You don’t think the Pope is really Christ’s vicar on earth? 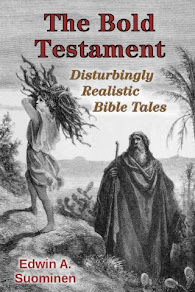 You aren’t buying the story about Mohammed being God’s prophet, exalted over all other men? Well, then, John Loftus has some words for you: Why the double standard, one for your own religious faith and a different standard for the religious faiths you reject? (p. 169). There are many other words in this excellent work; John really knows how to turn a phrase. If you haven’t dared expose yourself much of anything other than the copy-and-paste piety of your preachers and church newsletter, start with this book. It will lay the groundwork for all of the examination you do going forward. If your halo has started to slip a bit and you’ve been doing some of this sort of unauthorized reading, add to it with this book. It’ll remind you not just to accept a raft of new craziness to replace the old. And if you are already hopelessly, irredeemably lost to “the vain philosophies and the rationalizations of the people of this world,” you will probably still enjoy this book. It will remind you why you made a courageous and principled move, and probably paid a very real social cost for doing so. See the Prometheus website for more information. 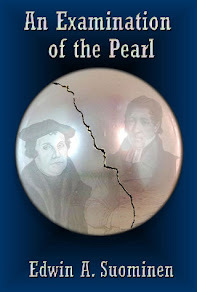 Get the book from Amazon.com in trade paperback or for the Kindle, or for the Barnes & Noble Nook.